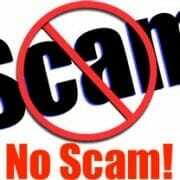 Heard QuiBids is a Scam? It’s a Lie! Are you a fan of online auctions? Have you ever wanted to sell your unwanted items in an easy way to make a little extra cash? Or maybe you’ve wanted to buy something rare for less money than you’d pay retail? No matter what the motivation is, online auctions have a distinct advantage in this area. You can watch auctions or bid immediately, making it easy to buy or sell your favorite products in an instant. One of the most popular online auction sites is Quibids.com. Using QuiBids as your auction site, you can check bids in real time to see what catches your interest. The QuiBids model is simple: When you log on and place a bid, the site adds 10-20 seconds to the auction’s timer to give someone else the the cahnce to to bid on the item for sale. This continues until the maximum bid reaches zero seconds on the timer, and the item is awarded to the top bidder. 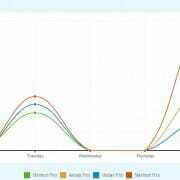 This model is much more interactive than other online auction sites and is often cited as reminiscent of the “going once, going twice, sold!” approach of traditional auctions. 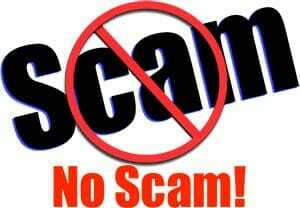 With such an exciting interface and fast-paced approach, you may be surprised to year that there is talk of QuiBids.com being a scam site. However, there are many benefits to using an online auction site like QuiBids.com, which we’ll outline in this article. This should offer plenty of proof that the QuiBids scam is a lie – you can enjoy bidding in a safe environment with confidence. Part of the reason that people are apt to think that the QuiBids scam is real is that their auctions work differently than auctions do on sites like eBay. Because QuiBids strives to bring that real auction feel to online bidding, some features of the site may seem a little off at first glance. First of all, before you start bidding, you must sign up. Then you must purchase bids. Each bid costs only $0.60. Then, when you find an auction you’d like to place a bid on, QuiBids deducts one bidding credit from your account and adds time to the clock to allow other bidders a chance. You also have the option to buy out the item that is up for auction, similar to other online auction sites. The difference with QuiBids.com is that even if you don’t win the auction, you can still choose to buy the product at a discount with this feature. You will never, ever have to pay more than retail price for any of the products listed on the QuiBids site. However, you must note that not everyone will win the auction at a huge discount. Sometimes, you just get the product for a few dollars under retail – but even then, you still save a few dollars! Why Does QuiBids Cost Money in the First Place? Many people find it odd that QuiBids charges money before you can begin bidding, which leads them to think that QuiBids is a scam. However, this is only because the site needs a placeholder for the funds. Think about it: If you bid on an item but never intend to pay it, you waste everyone’s time. The seller will be furious that they waited for their item to sell for nothing and will have to relist it; the site loses money hosting an auction that will never be paid for; and you lose out on getting your item if someone else wins and never pays. By having their customers purchase bids, QuiBids can ensure that real cash backs the auctions. This way, everyone gets their payment or item without hassle. It’s easy to think that if you lose an auction, the site has just stolen your money. In fact, with your option to “buy now” at less than retail value, you can still receive the item at a discount using your existing bid plus paying the difference. Either way, you end up with the item you want for less than you’d pay in a store. You can even spend money on bid vouchers to keep bids lined up for when you’re away from the computer. Using their automated queue for bids, you can autobid even when you’re not around! So as you can see, there’s no way you can think that this aspect of QuiBids is a scam once you understand how it works. Should You Sign up at QuiBids.com? QuiBids is an addictive site. 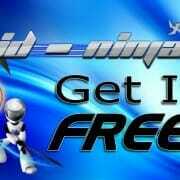 It’s fun, fast-paced, and offers you a chance to buy things for less than retail price. Because it imitates the high-energy setting of a real auction, it requires a slightly different business model. This business model is based on pre-paid bids, but that doesn’t mean that QuiBids.com is a scam. All it means is that you have bids that you can spend anywhere on the site for a chance at winning an item at less than retail value. If you win the item when the timer reaches zero, you’ll see that you’ve paid only pennies on the dollar for your item. If you lose the bid and choose the “buy now” option, you can still compare prices with online retailers to see if you’re paying less than you would in a store – and there’s a good chance you are. 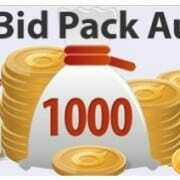 It can be difficult to win an auction on QuiBids.com because of the sheer number of users eager to find great deals. By utilizing a few tips and tricks (which QuiBids details on their site) you can greatly improve your chances of winning the auctions you have your eye on. Bidding can be fun, and it most certainly is not impossible to win an item if you play your cards right. 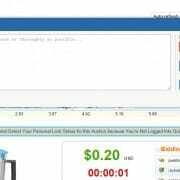 So if you’re interested in a fun, fast-paced online auction site, give QuiBids.com a try. Many people have found great deals using the site and feel that their time and money was well spent. If you give QuiBids.com a chance, you might just be one of them, too! https://www.bid-ninja.com/wp-content/uploads/2015/02/scam.jpg 208 300 Bid-Ninja https://bid-ninja.com/wp-content/uploads/2017/08/bn_logo300x50-300x50.png Bid-Ninja2015-01-05 07:16:552015-02-05 20:07:10Heard QuiBids is a Scam? It's a Lie! 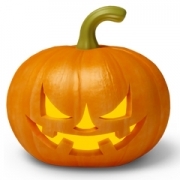 How About 1,000 Voucher Bids on QuiBids…and a Coupon Code to Go With! 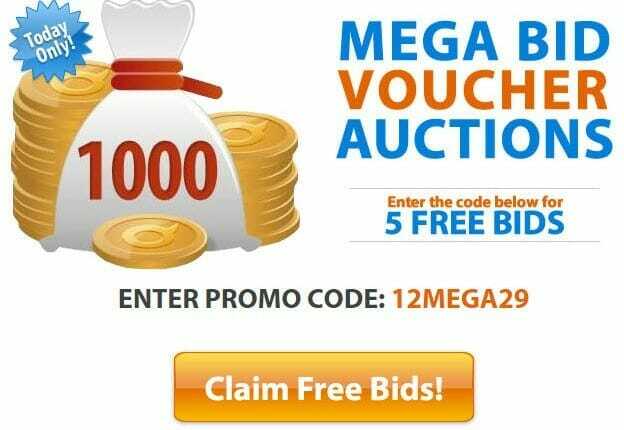 So QuiBids is once again having their “Mega Bid Voucher Auction” promotion…and they’ve released a coupon code so you can five totally free bids to commemorate the occasion! 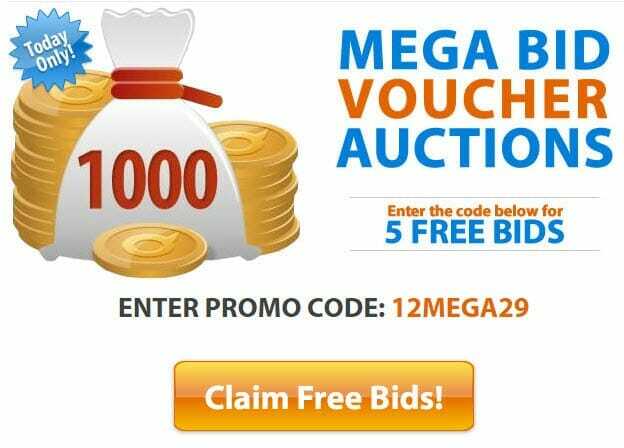 While the “1000 mega bid pack” and “500 mega bid pack” auctions ended yesterday (the 29th), the coupon code is still valid and you can use it to redeem 5 totally free bids, no purchase necessary. The only rules are that you have to have at some point purchased a bid pack, and you have to use the code before January 2nd, 2015 (it’s expiration date). Oh, and don’t forget to check out the new searchable QuiBids statistics database here on the Bid-Ninja site. You can read about it here on our blog. 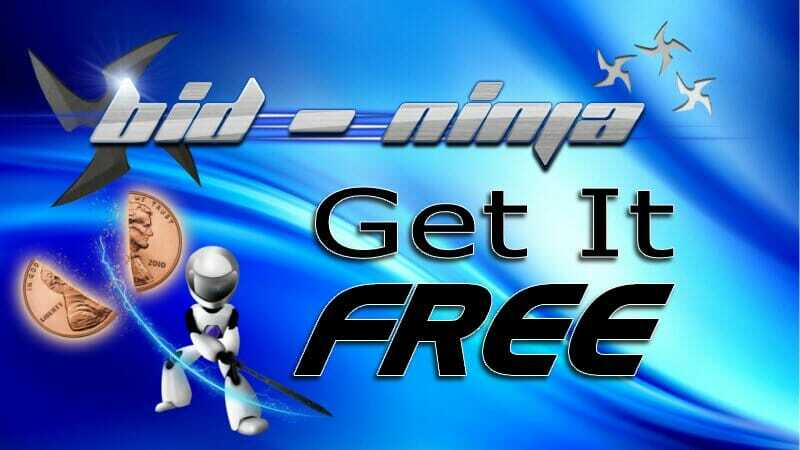 https://www.bid-ninja.com/wp-content/uploads/2014/12/mega-bid-vouchers.jpg 448 624 Bid-Ninja https://bid-ninja.com/wp-content/uploads/2017/08/bn_logo300x50-300x50.png Bid-Ninja2014-12-30 17:41:262014-12-30 18:01:14How About 1,000 Voucher Bids on QuiBids...and a Coupon Code to Go With! 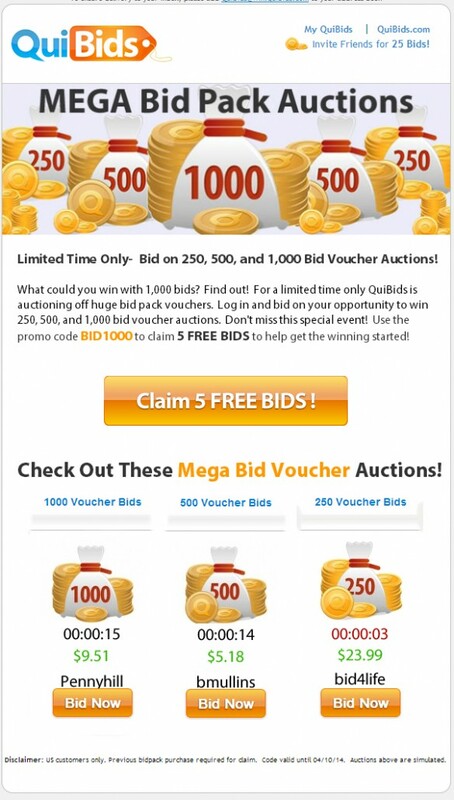 QuiBids just recently held a pretty cool promotion on their site where they were having auctions for 250, 500 & 1,000 voucher bids. Here is one such auction (already ended) for 1,000 voucher bids on QuiBids where the winning bidder “ItsaDealKapish” got a pretty sweet deal. I mean, imagine what you could do with ONE THOUSAND voucher bids. In any case, it looks like they’ve stopped running these auctions, BUT, you can still snag a few free bids with a promo code they released in honor of these new auction types even though they’re over. 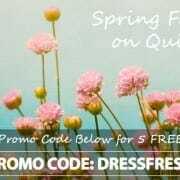 It expires on April 10th, 2014 so you better grab it fast! To use a coupon code, log into you QuiBids account and then open the “redeem coupon” page on QuiBids here. 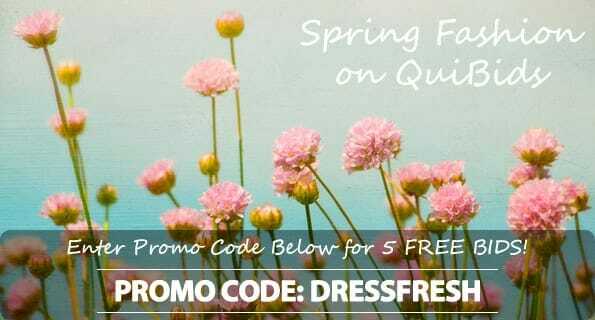 Once again, QuiBids has released another promotional/coupon code allowing you to snag some more free bids!